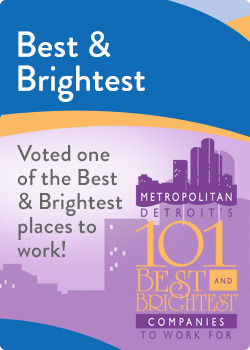 Community Financial is proud to be named one of the "101 Best & Brightest Places to Work in Metro Detroit." We excel because our team members embrace the credit union's commitment to serving members and each other. A passion for service is our commitment to you! Seek out every opportunity to enhance the financial well-being of each and every member. We will personally connect with members & team members to provide an exceptional service experience. We will be responsible & effective decision makers so Community Financial remains strong & prosperous. We will ensure that Community Financial is a great place to work. Community Financial is always seeking the best and brightest to join our Team. Check out our current career opportunities. Become part of the Community Financial Credit Union family today! Securities are offered through LPL Financial, member FINRA/SIPC. Insurance products offered through LPL Financial or its licensed affiliates. Community Financial Credit Union and Community Financial Investments and Insurance Services are not registered broker/dealers and are not affiliated with LPL Financial. The LPL Financial Representative associated with this website may discuss and/or transact securities business only with residents of the State of Michigan.